This directory includes charter fishing boats and head boats operating in the Chesapeake Bay area. These charter captains are prepared to take you out for a fun and productive day of fishing. Plan your next Chesapeake Bay fishing trip by contacting one of these charter captains. Charter boat captains know where the fish are biting and how to catch them. Charter fishing boats provide all the equipment you need to catch fish (tackle, bait, and expertise). Many will also clean and fillet your catch. When you book your trip, ask your charter captain what services are provided. There are charter boats operating out of just about every port only the Bay. This directory includes many of them, but we’ve probably missed some. There are links at the bottom of this page to a couple charter boat captains’ associations that may have additional listings. Be sure to call ahead and book your trip in advance, for many charter services fill up in advance. What to bring: Tennis shoes or deck shoes, sunscreen, sunglasses, a hat, a camera, a cooler to take your fish home in (captain will ice it down on the charter boat for you), beverages (no glass), food, rain gear. ATTENTION FISHING CHARTER OPERATORS: Please contact us to find out how to have your charter listed in this directory (it’s free and easy). Annapolis Sport Fishing Charters. There’s no better way to experience the Chesapeake Bay than aboard Dancer. Captain Joe Richardson’s 20 years of experience and his 37-foot Post Sport Fisherman will make your “day on the Bay” as enjoyable as possible. Annapolis Harbor, near the Charthouse. Annapolis, MD. Chesapeake Bay Sport Fishing. A private first-class Chesapeake Bay fishing charter for up to 47 passengers with Rockfish being our primary target. Fishes 7 days a week from the Annapolis area, conveniently located within minutes of both Baltimore & D.C. Queen Anne Marina, Stevensville, MD. Penny Sue Charters. Capt. Mike Smolek offers 25 years of Chesapeake Bay Fishing experience. You can troll, chum, live line or bottom fish from our 40 foot Bay style fishing boat. We depart daily from the Anchor Yacht Basin on the South River. Online booking available. Edgewater, MD. Baltimore’s Finest Charters. Serves Inner Harbor area, plus Annapolis and other ports in the Upper and Middle Chesapeake Bay. Two vessels include a 23′ Cape Craft for up to 3 passengers and a 33′ Egg Harbor Express for up to 6 passengers. Lighthouse tours and Patapsco River rides also available. Reel Diamond Charters. We have competitive fishing rates and fish the whole Chesapeake Bay to put you on the fish at all times of the year. We depart from Deale, MD (April & May), Baltimore, MD (June-November) & Cape Charles, VA (December). Teaser Charter Fishing. Parties of up to six can enjoy striped bass and bottom fishing trips aboard Teaser with Capt. Chris. Departing from Baltimore County June through November. Just minutes from downtown and I-95, and from Chesapeake Beach mid-April through May. Sawyer Charters. Chesapeake Bay Fishing Charters From Maryland’s Eastern Shore! Fishing Chesapeake Bay for striped bass, bluefish, rockfish, croakers, and much more. We also offer lighthouse cruises, nature cruises, and trips to various destinations along the Chesapeake Bay. Many charter fishing boats operate from the Rod N Reel Marina dock adjacent to the Chesapeake Beach Resort and Spa. Bay Hunter Charters. Fishing with Captain Randy Dean aboard Bay Hunter, a 42′ Evans Built charter boat. Licensed for 12 passengers, Bay Hunter is very clean and will get you to the fish fast. Full day and half day charters. We fish every day, so we know where the fish are. Rod N Reel Marina, Chesapeake Beach, MD. Chesapeake Adventures Sportfishing. Customized charters for you and your party. Experience the best fishing available in our area any time of year aboard our 33′ express sportfish “Reel Time”. 25 minutes from Annapolis. Breezy Point Marina, Chesapeake Beach, MD. Lexianna Charters. The Lexianna is a 41′ custom boat, USCG certified for 17 passengers, equipped with the latest in navigation and safety equipment, full head and a heated seating area. With over 28 years of fishing experience, the Lexianna crew can ensure you have a wonderful Chesapeake Bay fishing adventure! Docked behind Abner’s Crab House, 3748 Harbor Road, Chesapeake Beach, MD. Wound Tight Charters. Enjoy at day of fishing with the friendly crew aboard the Wound Tight. We catch everything from Spot and Rockfish to Tuna and Marlin. We offer bay and ocean fishing. Custom boat and custom tackle. Rod N Reel Marina, Chesapeake Beach, MD. Atlantic & Chesapeake Sport Fishing Charters. “The Natural” is a 47′ Daytona fishing for Trophy Rockfish in April, May, October, and November from Deale Maryland. Off shore big game fishing in Ocean City Maryland for the summer. Deale, MD. Bay Lady Charters. The Bay Lady is a 41′ custom bay built fully equipped and ready for your fishing pleasure. Season runs from mid-April thru mid-Dec. We fish for stripers, bluefish, croakers, trout, spot, and perch. Happy Harbor Marina. Deale, MD. Catnip Charter Fishing. Traditional Chesapeake Bay Fishing. Trolling, chumming, or bottom fishing for Rockfish, Blues, Black Drum, Croakers, Perch, Spot. 46 foot custom Bay Built. Parties of up to six people, women and children are welcome. Captain. “CJ” John Spangler. Happy Harbor Marina, Rockhold Creek, Deale, MD. Ebb Tide Charters. Ebb Tide Charters offers spring and fall rockfishing trips on the Chesapeake Bay from Happy Harbor Inn in Deale Md. Happy Harbor Inn, Deale, MD. Loosenup Charters. Loosenup is 47′, 1998 25-knot boat with all modern electronics and private bath. All bait and fishing rods included. Fish for all species. Runs every day for year round fishing. Runs in other areas also. Happy Harbor Marina, Deale, MD. Lucky Strike Charters. Charter fishing aboard the “Lucky Strike” for striped bass, seasonal rock fishing, light tackle chumming for stripers, blue, spot, perch, croaker, flounder, and trout fishing out of Happy Harbor Marina located in Deale, Maryland. Happy Harbor Marina, Deale, MD. Miss Grace Charters. Enjoy fishing for striped bass, rockfish, bluefish, sea trout, black drum and more on the Miss Grace, a 46′ Bay Built charter boat built to accommodate 20 passengers with comfort. Full time charter, running daily from Deale, MD. All tackle and licenses provided. Box lunches/catering available. Happy Harbor Marina, Deale, MD. Stormy Petrel Charters. Capt. George Prenant invites you to spend a “Day on the Bay” on his 42′ Twin Diesel “Fishing Machine.” Enjoy the action of Trolling, Light Tackle Fishing for Striped Bass & Bluefish, Bottom Fishing also for Croaker, Perch & Spot. “A Lasting Friendship is Only a Phone Call Away.” Happy Harbor Marina, Rockhold Creek, Deale, MD. Tenacious Charters. TENACIOUS is a Robbins Custom Built Charter Boat, Coast Guard Certified for up to 12 Anglers. Capt. Jacobs invites you to join him in quest of Striped Bass, Bluefish, Spanish Mackerel, and Bottom Fish. Light Tackle Live lining, Trolling are his specialty. Enjoy his website and give him a call. Happy Harbour Marina, Rockhold Creek, Deale, MD. Chesapeake Bay Sport Fishing. We are a private first-class Chesapeake Bay fishing charter for up to 47 passengers with Rockfish being our primary target. We fish 7 days a week from the Annapolis area, conveniently located within minutes of both Baltimore & D.C.. Queen Anne Marina, Stevensville, MD. Chesapeake Born Charters. Capt. Mike Ruth is a 4th generation fisherman. Enjoy a day of fishing or sea duck hunting out on the Chesapeake Bay. Can take up to 6 people on 40 foot Deadrise Classic Bay Built Charter Boat. Departs from Kent Island. Ellen-R Charters. Chesapeake Bay fishing at it’s best aboard the 45′ fishing boat, fully equipped with all you need, running seven days a week from April-Dec, trolling and chumming for Stripped Bass, bluefish, croakers, perch, light tackle bottom fishing. Cast & Blast trips, full and half day charters available. Leaving out of Kentmorr Marina on Kent Island Maryland. Lead Dog Charters. Lead Dog Charters is a full-time Chesapeake Bay fishing and cruising operation available for bookings seven days a week from April through December. Full and half day fishing charters and cruises aboard The Lead Dog or The Lucky Dog (certified for up to 49 passengers). Leaves from Queen Anne Marina, 412 Congressional Drive, Stevensville, MD. Crabbe’s Charter Fishing. Charter the 43′ KIT II with Capt. Danny Crabbe April – March on the Chesapeake Bay, Potomac River & Atlantic Ocean. USCG licensed for 26 passengers. Full-time resident guide, over 30 years of experience. Family and corporate groups welcome. All types of fishing. INTIMIDATOR. Welcome aboard the 46’ Chesapeake Bay workboat, INTIMIDATOR, fishing for our famous RockFish (striped bass). Capt. Manley offers full and half day fishing trips for up to 12 people. Spring Trophy fishing from Solomons, MD and from Rock Hall Harbor on Maryland’s upper Eastern Shore after mid-May. Jennifer-Ann Charters. Jennifer-Ann Charters fishes the Chesapeake Bay and Atlantic Ocean. She is a 53 foot state of the art fishing machine. Captain and Mate have a total of 50 years experience. Carries 30 passengers. Calvert Marina Charter Dock, Solomons Island, MD. Marauder Charters. We offer you more than 25 years of proven ability in finding and catching trophy fish. A first class boat, equipment, and crew to serve up to 6 passengers. Completely equipped with the latest technology and safety devices. Calvert Marina, Solomons Island, MD. Strike Zone Charters. We know where the fish are and will get you there with speed and comfort. We offer a first class operation with quality equipment. Departing Solomons Island, Maryland daily. Calvert Marina, Solomons, MD. Solomons Charter Captains Association – Information and online reservations for a fleet of fishing charters operating out of Solomons, Maryland. My Desire Charters. “My Desire” is a 35′ Cabo, located at Tilghman Island, approximately 15 minutes from St. Michaels. We are available for Rockfish Trips in the Mid Chesapeake Bay Area from April through November. We also do dinner cruises to Oxford and Cambridge. Come join us for a day on the Chesapeake. Big Rig Charters. Maryland Chesapeake Bay trophy striper fishing and sea duck hunting. Miss Ella Charters. Rappahannock River and Chesapeake Bay charter fishing on the “Miss Ella II” docked in the Urbanna Town Marina. 50ft charter boat with full bathroom and shaded fishing area. Capt. Tom Narron. York River Charters. 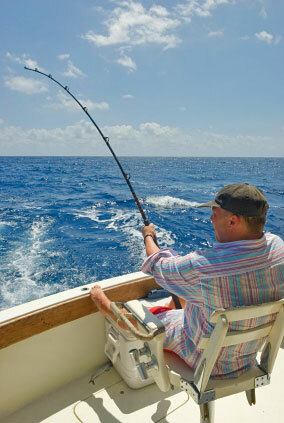 We offer our guests both sport fishing charters and sightseeing tours. We are the only fishing charter boat contracted to dock at beautiful Riverwalk Landing on the historic Yorktown waterfront. Maryland Charter Boat Association. The Maryland Charter Boat Association is the largest group of professional charter boat captains on the Chesapeake Bay. Upper Bay Charter Captain’s Association. Chesapeake Bay charters for sportfishing or cruising the Maryland Chesapeake Bay. Solomons Charter Boat Captains Association. Information on Charters out of the Solomons Island area.